Mattel Brings Powerhouse Brands to the iPad With Apptivity™ Play | Mattel Inc.
EL SEGUNDO, Calif.--(BUSINESS WIRE)-- In line with today's modern families and the popularity of iPad at home, Mattel, Inc. launches Apptivity™ featuring screen-safe toys for the iPad that interact with apps from the world's biggest and most popular brands. From Fisher-Price®, Hot Wheels®, and Monster High™ to WWE®, BATMAN™, Cut the Rope™ and Fruit Ninja™, Apptivity™ is available now and brings kids of all ages engagement, innovation and technology that's shaping the future of play. 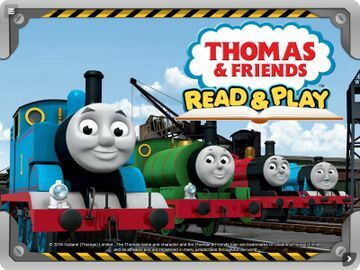 "With millions of households now owning iPads, we sought out a meaningful way to create new play possibilities that both entertain and bring families together," said Lisa McKnight, SVP Marketing, Mattel North America Division. "Apptivity meets the needs of today's tech-savvy kids, while showcasing our trusted brands and best-in-class partners." Across preschool, boys, girls and games brands, Apptivity™ brings unprecedented play value to iPad users. Featuring authentic toys and app content, Apptivity™ allows kids to discover new ways to engage with their favorite Mattel brands through fun mini-game challenges, story unveils and character firsts. Apptivity™ also opens exclusive playability from today's leading apps Cut The Rope™ and Fruit Ninja™ including special new game modes while bringing entertainment properties WWE® and BATMAN™ to life with supreme in-app game graphics and detailed toys. Utilizing special screen-safe plastic, Apptivity™ toys are designed not to scratch iPad's surface. Play is activated in three easy steps. First, purchase an Apptivity™ toy at retail or online. Second, download free Apptivity™ apps from the App Store on iPad at Apptivity™ Central or go to www.mattelapptivity.com to learn more. Next, tap on the app and place the physical toy on iPad's screen. The toy is now ready to be played with the app. Apptivity™ single packs retail for $9.99 and starter set two packs with included accessories for $19.99. Apptivity™ Hot Wheels™: Train to be a Team Hot Wheels™ driver, on iPad! With nine mini-games and three top secret zones, Hot Wheels™ fans will never run out of track. Each Apptivity™ Hot Wheels™ vehicle opens different in-game performance features! Available in single packs at retailers everywhere, and two-pack assortment now exclusively at Apple retail stores and at Apple.com. The Apptivity™ Hot Wheels™ App is available for free from the App Store on iPad or at www.itunes.com/appstore. Apptivity™ Cut The Rope™: The cute green character Om Nom® comes to life like never before in toy form! Put Om Nom® on iPad and a special game mode "Candy Frenzy" is enabled where players must sweep their Om Nom™ Apptivity™ figure back and forth to capture candy. The Cut the Rope™ HD App is available for $1.99 from the App Store on iPad or at www.itunes.com/appstore. A free, limited version is also available. Apptivity™ Fruit Ninja™: For the first time gamers can play as the lovable Sensei! Place the Sensei Apptivity™ figure on iPad's screen and open a never-before-seen two-player mode! The head-to-head competition tests slicing and swiping skills where players can launch fruit at friends for playful game of sabotage. The Fruit Ninja™ HD App is available for $2.99 from the App Store on iPad or at www.itunes.com/appstore. A free, limited version is also available. Apptivity™ BATMAN™ The Dark Knight Rises™: Action comes to iPad with this film-inspired Apptivity™ play that takes BATMAN through the streets of Gotham City in search of the villain Bane. Each Apptivity™ figure and accessory releases additional in-game play functionality for an added test of skill and excitement. Available in single and starter pack assortments. The Apptivity™ BATMAN™ App is available for free from the App Store on iPad or at www.itunes.com/appstore. Apptivity™ WWE® Rumblers®: Transform iPad into a WWE ring where players can battle both as and against top WWE Superstars! Apptivity™ WWE Rumblers places the power of WWE superstar favorites in fans hands competing as John Cena®, Rey Mysterio®, Sheamus™ and more in unique competition featuring three exciting game modes including: Career, Exhibition and Training. Available in single and starter pack assortments. The Apptivity™ WWE® Rumblers® App is available for free from the App Store on iPad or at www.itunes.com/appstore. Fisher-Price® Laugh & Learn™ Apptivity™ Case for iPad® devices. Babies can enjoy their very own apps in a case that's made just right for them! Simply place the Apple® device into the case, twist the lock, and the electronic device is protected from baby's dribbles and drool. The durable, rubber case holds the device behind a clear film to protect the screen. Offers three ways to play: roly-poly base, easel or flat. Download free Fisher-Price Laugh & Learn apps from iTunes! And coming in October, Monster High® will make its ghoulish Apptivity™ debut featuring popular personalities Frankie, Lagoona, Draculaura and Clawdeen in a dynamic mystery-quest challenge for Monster High® fans of all ages. All Apptivity™ games can be played without the physical toys, using tap and swipe functions on iPad. New levels, features, modes and characters can be unlocked through game achievements or via App Purchase. Apptivity™ is compatible with iPad, iPad2 and the new iPad. For more information visit www.mattelapptivity.com.